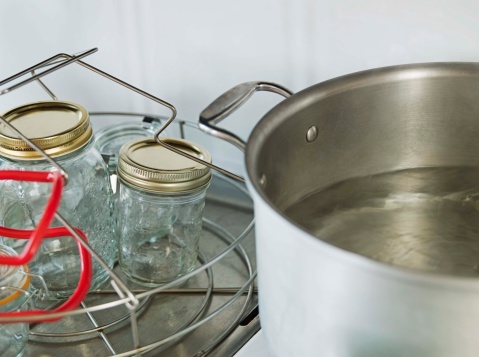 Canning is the process of preserving food at home. Many homemade jams and preserves are stored in canning jars. The metal jar lids may eventually get rusty, at which point they can no longer be used for food storage. But some people want rusted jar lids for art projects, gardening decorations and other uses that don't relate to storing food. You can hasten the rusting of a canning jar lid by following a few simple steps. Rusted canning jar lids have a few decorative uses. Scrub the surface of the canning jar lids to remove the rust-proof coating. Roughening up the surface encourages the metal to rust. Place the jar lids in a large container filled with water. The lids need to be covered completely by water. 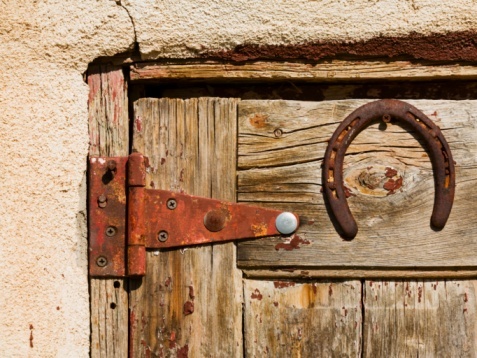 Water helps to create rust on metals. Add 2 tablespoons of table salt to the water-filled container. Salt water accelerates the rusting of metal. Leave the jar lids in the salt water for several hours or overnight. Take the lids out of the salt water, place them on paper towels and then put the lids in direct sunlight. The heat from the sun accelerates the rusting process. Turn the lids over every 3 to 5 hours to rust all surfaces. Repeat Steps 2, 3, 4 and 5 until you reach the desired level of rust.